Holidays and Family Feuding — Expect Unfortunate Responses and Plan ……………. | Couples-Counseling Connection — Marriage & Family (McLean, Virginia). Holidays and Family Feuding — Expect Unfortunate Responses and Plan ……………. The holiday season often brings feuding during family gatherings. 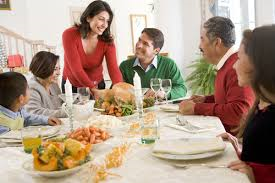 This article gives you strategies in avoiding family confrontations. Very worthwhile. Especially the suggestion on communicating and expecting unfortunate responses. This entry was posted in Communications and tagged expect unfortunate responses and not responding, holidays and family feuding by sandymalawer. Bookmark the permalink.